What happens, when aerospace-specialist develop a motorcycle instead of calculating spaceship-engines? 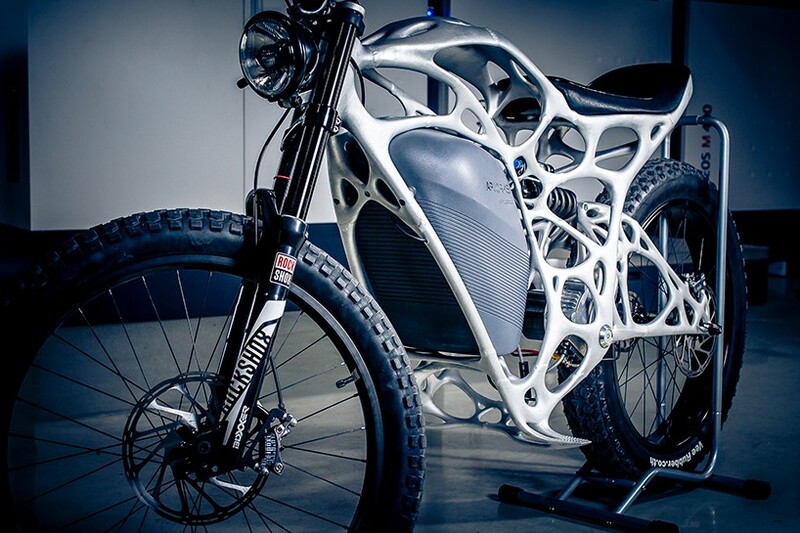 When a frame is not made by joining tubes, but instead is 3D printed using state of the art processes? When bionic algorithms optimize the entire structure? 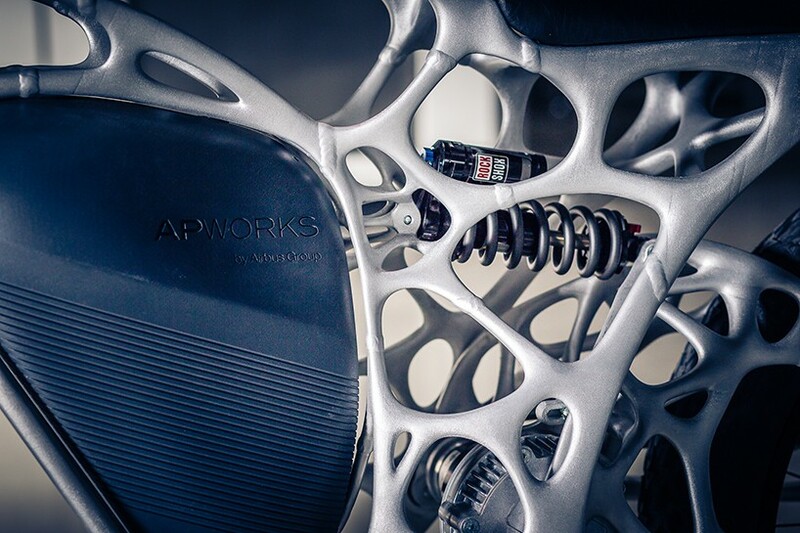 “With the Light Rider we at APWorks demonstrate our vision of future urban mobility”, says engineer Stefanus Stahl. 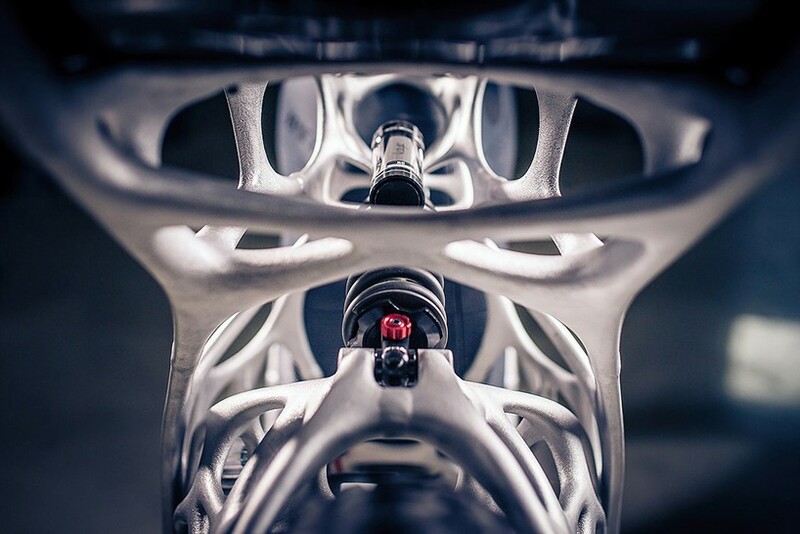 “We have used our know how of optimization and manufacturing, to create means of transportation, that match our expectations”, explains APWorks’s Niels Grafen: Exceptionally strong, impressivly lightweight and of the highest quality.